I have to specify that the insights which will be given below were collected from Ghanaians currently living and working in Ghana, as opposed to Ghanaians from the diaspora who have recently come back to open up businesses back home. As a result I am confident the etiquette tips are spot on. Ghanaians are very much relationship oriented. This is apparent given the incredible hospitality we have received - even strangers in Ghana greet each other in the streets with ‘good morning’ or ‘how are you?’ (to which it is polite to respond). The relationship orientation also tends to influence a number of points when it comes to business and setting up meetings, including some local Ghanaian’s preferred mode of communication. People here like to spend time discussing things face to face, hence effective virtual communication can be initially challenging. So even though you may have done your research on who you would like to meet and you are probably keen on setting up a date/time/place, you may find that when it comes to receiving a response via email, it is not as quick and effective as you perhaps would like it to be. From what I have experienced, many people will ask you to just give them a call once you arrive in Ghana, hence meeting scheduling becomes very last minute for those used to planning ahead. If you would like to maximise the effectiveness, then speaking to the right person on the phone ahead of time is a good idea, and then following up with an email. Upon your arrival to Accra, it is advisable to buy a local SIM card as calls/text from the UK are expensive. The local providers include Tigo, Airtel, Vodaphone, MTN, Glo etc. Having a local number makes it easier for your contact to get a hold of you as it is also expensive to call UK mobiles. In such cases, you may find that people ask you to ‘flash’ them i.e. giving them a missed call so that you call them back. Once on the ground, and you have activated your local SIM card, call your contacts to confirm the meeting place and time. As we have noticed, the traffic in Accra is heavy during rush hour so do not be surprised if your counterpart is late due to the traffic. In fact, every meeting we have attended either we have been late or they have been late; but the lateness is never an issue. Ghanaians are fairly formal when it comes to dressing for meetings, due to the British influence. As first impressions matter, dress as you would for a meeting in the UK. Do not be surprised if your counterpart picks up a phone call during your meeting. This is not considered to be rude, it is simply another element of the relationship oriented culture. The meeting will start with handshakes. It is important to build rapport and speak about oneself before getting down to serious business. Your counterpart is likely to ask you about yourself, your family, your country and give you an official welcome. The person chairing the meeting will also introduce him/herself and anyone else present. Be prepared to be questioned about ‘your mission in Ghana'; we were told this is actually a tradition that stems from the village chief welcoming guests in the village, and asking them of their mission. Meetings generally come to a close with some agreement related to the next steps which will be taken. If you are dealing with clients in the public sector then you are likely to be asked to put forward proposals and company introductions in writing as these can then be passed on to the decision-makers. Building trust and rapport does not stop at the meeting stage. It becomes central to the efficient running of a business. We met a very successful entrepreneur who gave us a very good piece of advice when it comes to motivating people to work for you, and countering the "envy factor". As Ghanaians are highly ambitious and entrepreneurial in spirit – what makes people want to work for someone else? It all comes down to the personal relationships one has with employees – treating them as you would treat your family, being able to joke around (Ghanaians appreciate a good sense of humour), and basically making interactions more personal rather than hierarchical. To sum up, doing business in Ghana, firstly means doing business with Ghanaian people, and this impacts communication, rhythm of business and protocols. Taking the time to discuss face to face is absolutely crucial, in order to develop a better understanding of the country and its people, to initially build key contacts and then sustain existing relationships. We asked all our meetings today about their top tips for foreigners looking to do business in Ghana, and collected their responses. Despite preparing yourself for some of the challenges you may encounter en-route, it is advisable to remember to think long term. Ghana has come a long way in 56 years of democracy, and there are clearly numerous opportunities for those willing to take a chance and also listen and learn from the local population and keep the long term vision in mind. 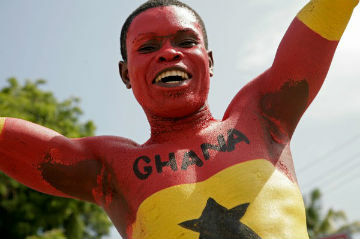 Need Ghana cultural awareness training?